So, let me be honest here. 1) I had no clue that poem went on as long as it did, and 2) it was pretty comical to sit down with my family and create our own little racers rendition! It’s that time of year where tracks are bare, race cars are stripped naked, parts thrown all over the garage. When every driver wished for the season to be over so they can “stop wasting my money on this junk,” now they are shoving their foots in their mouth. Like I said before, I’m not an actual driver YET, but I will say I have that similar itch. I want to be back at the track, the sounds of wrenches, the smell of rubber! Let’s look on the bright side everyone, the Whelen series officially kicks off January 1st with most tracks opening their gates early April. Until then let us enjoy the times with our family. Be thankful for those gifts we hope to receive in the morning. 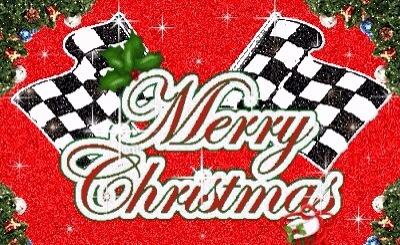 I want to wish everyone a very Merry Christmas!! Leave a comment bellow with your favorite gift from tomorrow! Make sure to check back at the first of the year with my ‘Racers New Years Resolution’ AND the newest addition of The Driver Series.